Mr. Boy holds license’s in the State of Texas for Real Estate, Insurance Adjusting , Private Investigations & retains his Texas Peace Officer license. He retired from the Houston Police Department and is a graduate of the FBI National Academy. Mr. Boy worked primarily in the field of Criminal Investigations during his tenure as a police officer and enjoyed the challenges that law enforcement gave him; however, he has always had a strong desire for business. He is a visionary entrepreneur and works diligently to identify business opportunities. Mr. Boy will take the time to educate himself properly and then execute his plan towards a profitable business venture. Mr.Boy strongly believes in helping others along the way. Above all things, Mr. Boy believes that God is first in his life and his work is secondary. Mr. Boy believes in providing excellence to his fellow man. His integrity, honor and his word are his bond. Mr. Boy is prospered not to increase his standard of living but to increase his standard of giving. 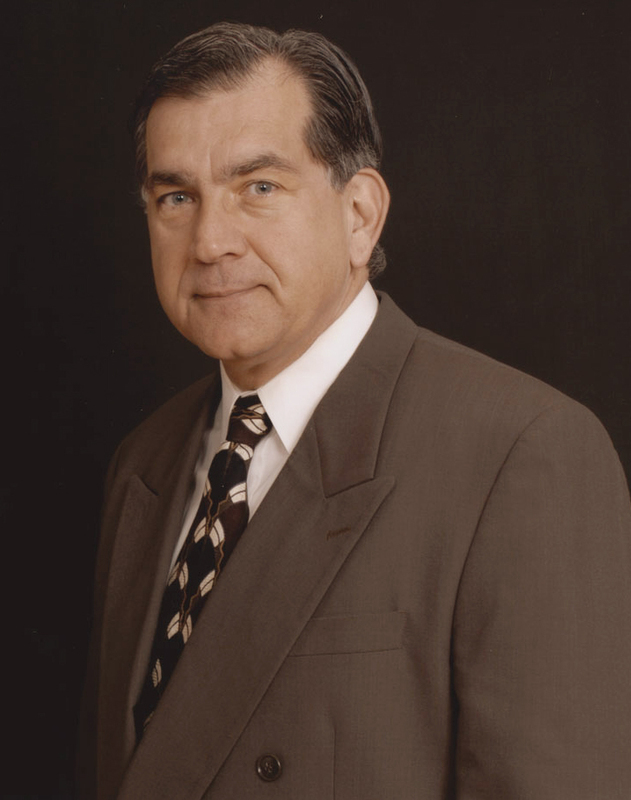 James R. Boy, better known as “Jim”, is the Chief Executive Officer for the JRB Venture Alliance . Jim is responsible for the corporate structuring of JRB Venture Alliance as well as the daily operations. He exhibits a strong belief that individuals should be encouraged in their personal goals and opportunities. He enjoys collaborating with the other entrepreneurs because each one of them exhibits a “Pay it forward attitude” in developing the Entrepreneurial spirit. Jim believes it is the Entrepreneurial Spirit that makes America great. His vision for JRB Venture Alliance is to educate both current and future entrepreneurs by equipping them with the knowledge and skills necessary to thrive and survive in the world of commerce. Jim personifies the Entrepreneurial Spirit. He brings extensive knowledge and vision to JRB Venture Alliance through his history of current and past ownerships or partnerships which involved business “start ups” to fully developed corporations. He specializes in corporate structuring or restructuring, then focuses on leading them through their various stages of growth. Believing in a life time of learning, Jim has attended the University of Virginia, the University of Houston, Central Texas College and the LaSalle Extension University. He is a graduate of the United States Military Police School, the Houston Texas Police Academy and the FBI National Academy and continues to attend various classes in keeping with the current trends and laws affecting business. Jim is an active member in the FBI National Academy Associates of Texas; The Houston Police Retired Officers Association; The San Diego (California) Christian Writer’s Guild; The Houston Area Realtors Association and The Tomball (Texas) Christian Business Association. It was a pleasure meeting you yesterday after our West Coast class. You are a very interesting person to talk to and are a wealth of knowledge and information. I look forward to talking with you more in the future and exploring the possibility of working together. In the American society riddled with debt and the lack of knowledge to get out of it, there is a never ending need to teach people how to be able to live a more peaceful and fulfilling life that can be free from financial chrisis. When you have a paradigm shift, you will begin to see new opportunities. I thought I would touch base with you just to tell you that I appreciated our meeting last night. It is nice to see the enthusiasm that you have and learn of your interests. Michael, I am a “Pay it forward” type of Entrepreneur and have an interest in helping others to succeed. I believe the Spirit of America is “The Entrepreneur” and intend to help keep the dream alive and well within our nations people. I hope you will prepare a “Life Plan” which will guide you and allow you to realize your ultimate goal towards whatever your true endeavor may be. Hi Jim, I stumbled onto your JRB Venture Alliance blog by chance, but then again nothing happens by chance. Your interest in feature films caught my eye, so I thought you might like to acquaint yourself with my project ‘Legends on Stone’. The Blog’s Update page displays the project’s current status, while the Wish List page demonstrates the key elements required for launching the film project. Here is a brief synopsis of the film, which I believe would be to your liking. ‘In the light of prophecy, the need for redemption. In the shadow of conspiracy, the search for truth’. Based on factual materials and set against the striking backdrop of a contemporary Australian outback, “Legends on stone” is an emotion charged vehicle that delivers a high-speed and sobering look at where humanity is heading. We follow the path of Elias, a former felon, as he strives to attain redemption for the death of his wife; and Kira, a female journalist on her quest for the truth after she stumbles onto a global conspiracy. Protected by the anonymity of their service, a clandestine agency rooted in the highest realms of global power, begins a merciless hunt for Kira. Commanding unlimited resources and employing the latest technologies they will stop at nothing to silence their target. Elias and Kira’s worlds collide and now they must help each other before their pasts catch up with them. Jumdaby, an old aboriginal medicine man; guardian of an ancient prophecy foresees their fate and together with his grandson Daniel set out to help them, guiding them with visions and dreams to the unveiling of a preordained event. Through the transpiring actions we begin to witness the fulfillment of a biblical prophecy and a comparable aboriginal prophecy regarding the end of the world. Their destinies irrevocably intertwined Elias and Kira are now drawn by providence toward an inevitable confrontation. This thought provoking plot beckons the question; “Has the apocalypse already begun, if so why don’t we know about it?” What are they (the powers that be) trying to hide from us? KIRA is a freelance journalist; intelligent, perceptive and tenacious, yet at the same time alluringly feminine, warm and compassionate. She is traveling the Australian outback by plane, gathering information to prove her theory that the aboriginal gods, the Mighty Wandjina; dwellers of the sky and creators of the world – with their humanoid bodies, large piercing bug-eyes and haloed featureless faces, which bear a strange resemblance to today’s so called alien beings, were indeed of extraterrestrial origin. Stumbling onto a secluded, military quarantined crash site, Kira discovers an inner strength she never knew she possessed; displaying incredible valor as she is forced to flee from a relentless and hostile aggressor. She is the narrator of the events, which become the most incredible story of her life; a story of faith, love and hope, about the courage of ones convictions, self sacrifice and redemption, about a faceless enemy, a global conspiracy and the impending New World Order. ELIAS is an ex-bank robber, a rugged cowboy with a dark and painful past; who has turned to the Lord for redemption after the death of his wife during a disastrous bank heist. Saving Kira from the agent’s onslaught, he is now drawn into a situation where he must use all of his physical, psychological and spiritual resources in order to save this unknown woman. Troubled by the unremitting pursuit of a nameless aggressor, Elias is oblivious that the Lord, working in His mysterious ways has finally given him a second chance to redeem his past. Haunted by visions and dreams, Elias senses a dark underlying force vying for the possession of his soul. Abound by temptations both physical and spiritual; Elias is torn by the quintessential struggle of good against evil. His faith in the Lord miraculously sees them through many tight situations but then, on the crest of a developing affection between himself and Kira, Elias is suddenly faced with the most difficult decision of his life… What if redeeming one’s past, meant “laying down one’s life for another”? Will Elias be able to give his life, to save Kira? Nothing will prepare you for the denouement. Only a leap of faith can save you. Thanks for writing. Interesting story. I am forwarding your story to my partner for consideration and what steps to take regarding “Legends on Stone”. Where are you located? Thanks for your prompt reply. In answer to your question – I’m Australian born and raised, but currently residing in Moscow.